Amor.com is a unique site developed and maintained for Latin community. Even though it gladly welcomes people of non-Hispanic origin (in fact, plenty of English-speaking users, mainly from the United Kingdom have recently registered on the site), it is still mostly Hispanic-oriented. Initially, it had only Spanish and English versions; yet, amor.com developers are currently working on adding more languages to the site. So, if you are looking for some spicy romance, you’re welcome to register. We, in our turn, have decided to come up with an amor.com review, describing its main benefits and helping you to come to a decision about its usability. Based on the data extracted from more than one amor.com review written by our users, we can be absolutely sure that despite some recent changes, the site still remains a Hispanic platform. That is a great thing, especially when you know what you are looking for. Unlike the majority of other, more diversified romantic platforms, amor.com offers you a separate niche, where you can significantly narrow down your search options. Interestingly, the site’s niche subdivision concerns ethnicity only. When it comes to sexual orientation, it gladly welcomes any user – either straight, gay or lesbian. So, in a way, its ethnical monotony is diversified in a totally different manner, extending the boundaries and giving more options than you might have thought it would! One of the innovative features offered by the site is its unique toolbar integrated with your web browser. Any time you are surfing the web, you appear online on amor.com, which increases your visibility, as well as your choices of being noticed. Even if you are not actually on the site, you are, in a way, still on it. Apart from setting your status to ‘online’, the system also sends you instant notifications about messages or any other activity on your profile. The site has two membership plans – a basic one, which is available for free, and a paid one, available for a flexible subscription fee. The flexibility of the fee depends on the length of your subscription. The highest fee amount per month is 29.95 US dollars (if you subscribe for one month only). Alternative subscription plans offer you a possibility to pay for three months, six months, or one-year subscription. Quite logically, the longer you subscribe for the service, the cheaper its gets. If you pay for the entire year, your monthly fee will be three times cheaper – just 9.99 USD. So, if you are going to stay there for a while, you should better consider the longest membership plan. As a result, it will cost you less. Plus, premium members have access to all benefits of the site, including audio and video messaging / chat rooms, possibility to post more photos than basic users and higher ranking in search results. All in all, basic membership is quite useable; especially of you display medium or low activity on the site. Yet, if you are going to be a proactive member, it is reasonable to subscribe for a paid membership plan on amor.com. One of the site’s obvious advantages is its niche orientation. It is a perfect online resource for Hispanic population looking for a partner of the same ethnicity. Yet, there is no slightest racial prejudice, as any user, regardless of his/her origin, can become a member. So, if you are simply looking for a hot Latino partner – you’re welcome to join! Another undeniable plus is a variety or relationship types the site offers you. As it was already mentioned, both heterosexuals and homosexuals can make the full use of amor.com benefits. It is easy to find and form straight, lesbian, or gay relationships, as the site has no sexual discrimination whatsoever. In addition, the audience of the site is as tolerant and open-minded as its policy, which is definitely another advantage. Practically any amor dating site review written by our users mentions how great it is to be apart of a diverse platform that welcomes any person, no matter what he/she is looking for. Another appealing thing about using amor.com is that it has plenty of users with various relationship statuses. Here you can meet single, divorced and even widowed people. Depending on what you are looking for, a wide of range marital statuses might come in handy. Don’t see how it helps? That’s pretty simple. Younger audience is usually looking for single people who have never been married before. The young always tend to be the first ones in a serious relationship. People in their thirties might appreciate a more experienced partner more, someone who already knows that any relationship requires a lot of patience and tolerance. And, finally, there is even an older audience, and it often happens that their partners are already deceased, so they are looking for someone who is going through the same thing. Yet, this is only a superficial explanation, while the particulars can be even more varied and detailed. And, perhaps, one the biggest advantages is a range of relationship levels amor.com offers. There, you will be able to find dating partners for a long-term or a short-tern relationship, partners for marriage, and even partners for more casual, sometimes even strictly platonic, friendly communication. Unlike many dating platforms, amor.com does not limit you in anything, so you are totally free to choose how to act and what to look for. 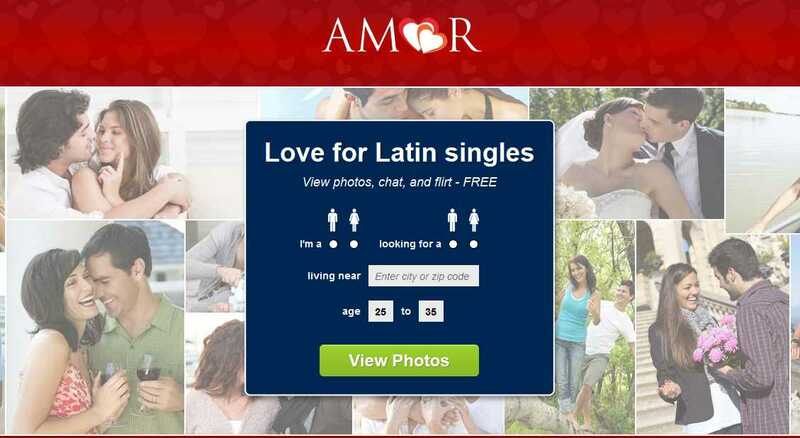 To recap, amor.com is Hispanic-oriented dating platform. However, everyone is free to use it – there are no racial restrictions. You just have to bear in mind that Latino audience prevails on the site. This site is not only for straight people – gays and lesbians are free to join, too. Its integrated toolbar sets an online status any time you are using your browser, and it sends you instant messages about any activity on your profile. Two membership plans are available: the basic one is totally free to use, while the premium one, with additional features like audio and video messaging, will cost you from 29.95$ to 9.99$, depending on the term of your subscription.